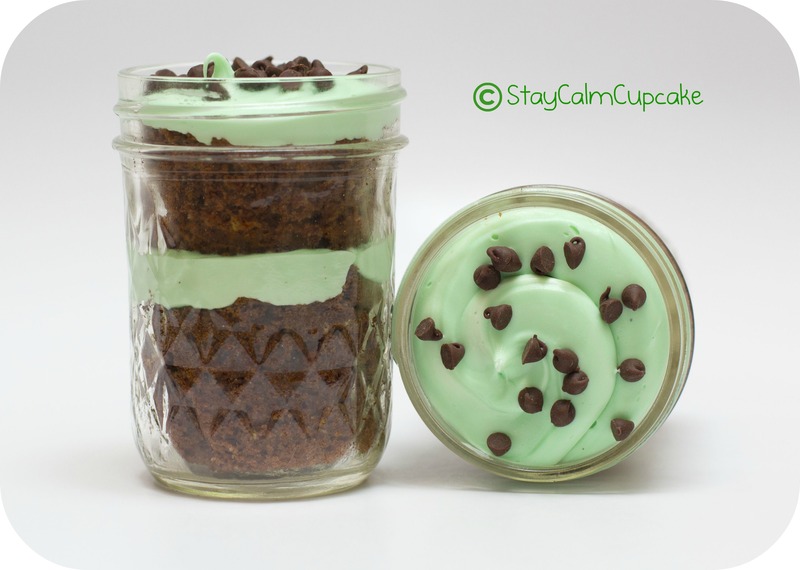 chocolate cupcake | Stay Calm, Have A Cupcake! Happy Monday! 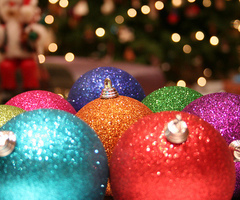 Its officially the week before Christmas! Most of us are running around like maniacs trying to get the perfect (not to mention very last-minute) gifts for our family members, trying to make the house semi-presentable for visitors, putting on a half baked grin for your in-laws, and scouring the house for that darn scotch tape that you “swore you saved from last Christmas”. 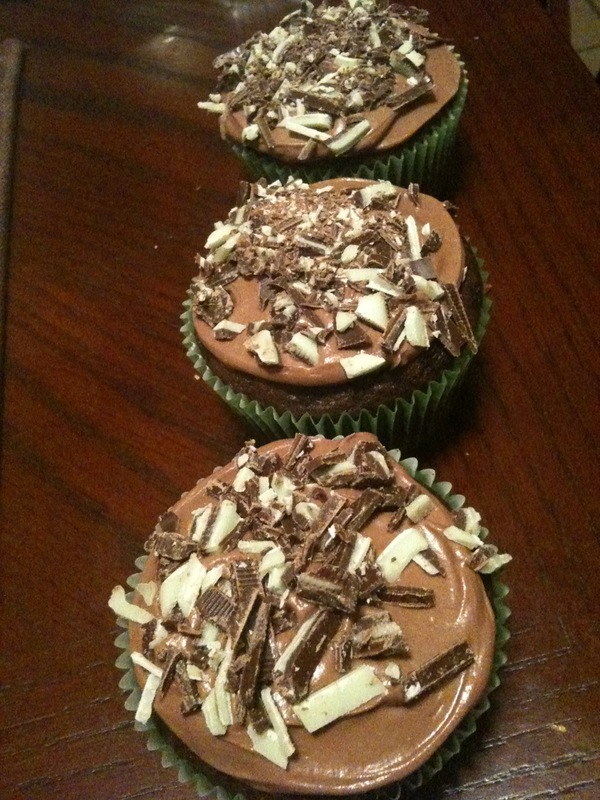 So today, I am offering you a 30 minute semi-homemade cupcake recipe. 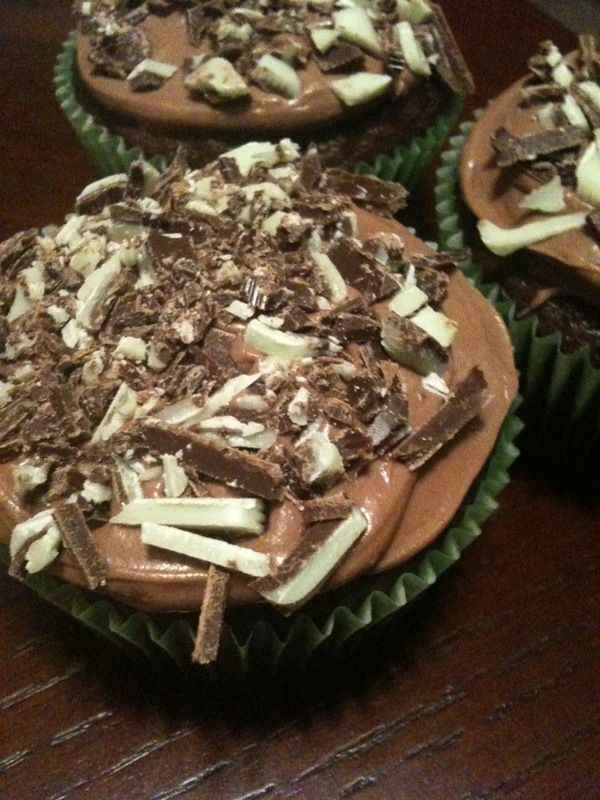 Yup – 30 minutes – including bake time! Just in time for that Christmas Party, or even Christmas day dessert. It’s so easy and the kids can even help! With a knife, frost the top of each cupcake – no need for fancy technique, we are going to cover it up! Display nicely – and enjoy!! P.S. The winner of my Cupcake Magnet Contest is Beth from happylifehappywife.wordpress.com. Congrats Beth! You will get your cupcake magnets this week!! Add milk, vegetable oil and eggs. Mix everything together until smooth, either by hand or by using an electric mixer at slow speed. If the batter is too thin – add a little bit more flour. 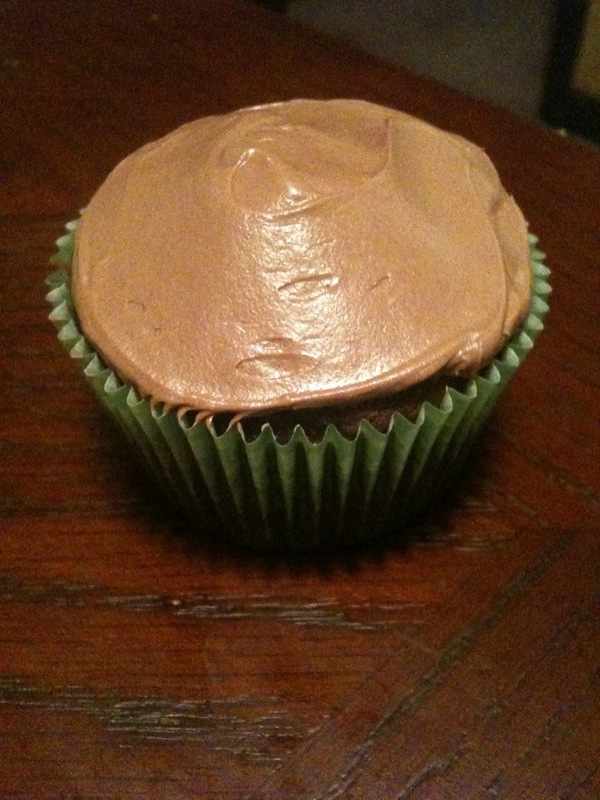 Pour batter into cupcake liners, making them half full. 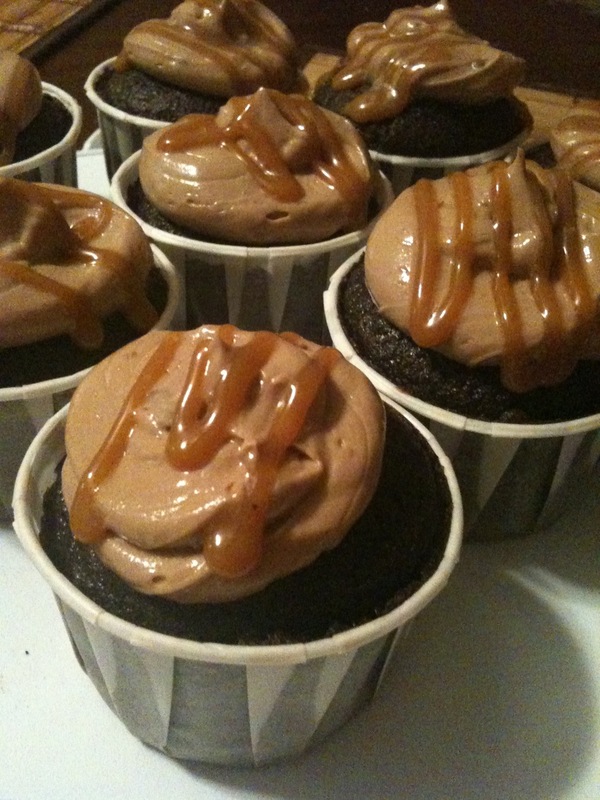 Take cupcake from the oven and place a caramel square on the top of each cupcake. 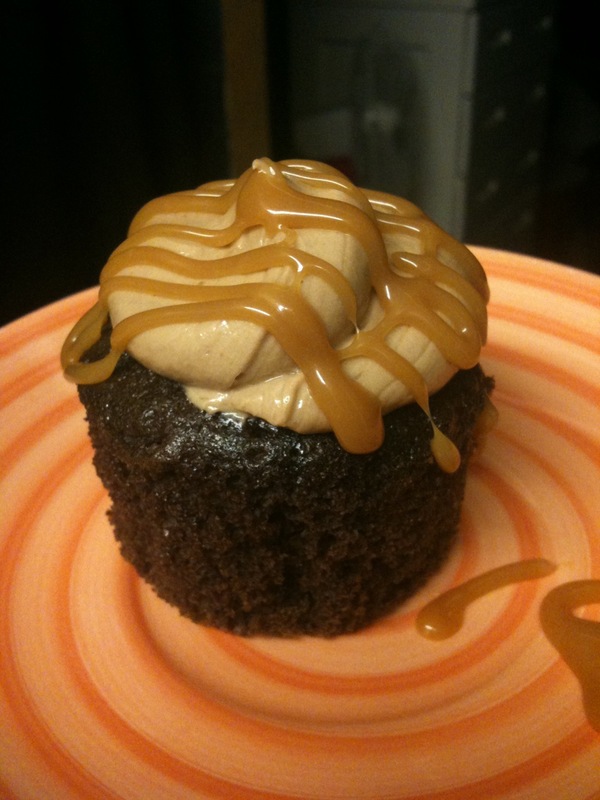 Bake for 5 more minutes, until the caramel has melted onto the cupcake. In a microwave safe bowl, put your chocolate chips and ½ tbs of butter – Heat on high for 30 seconds. Stir until completely combined and melted. 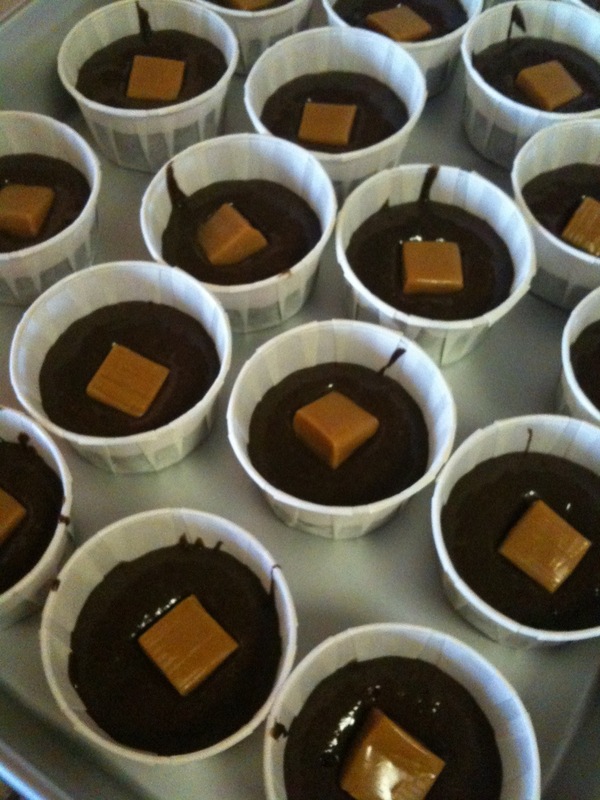 In a saucepan on medium heat, melt the caramel squares with the half and half. Stir continuously or else your caramel will burn. 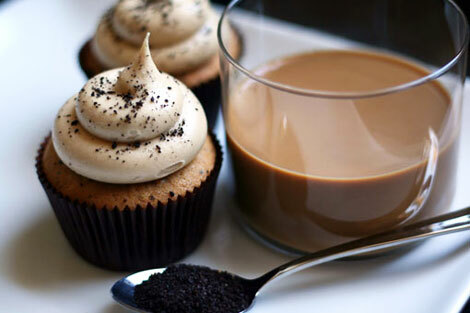 Pipe your frosting on the cupcake and drizzle with caramel. Now enjoy! !